Spending a weekend afternoon crafting spooky decor to entertain your friends, family and neighbors is much more fun than taking a trip to the Halloween store. Luckily, DIY crafts don't have to be complex to be cool. Take these simple Halloween Jack o' Lanterns for example. You can make them with items that you already have in your home, helping to save the planet, while building memories with your children. And, you can whip these up in no time to be ready for Halloween night. 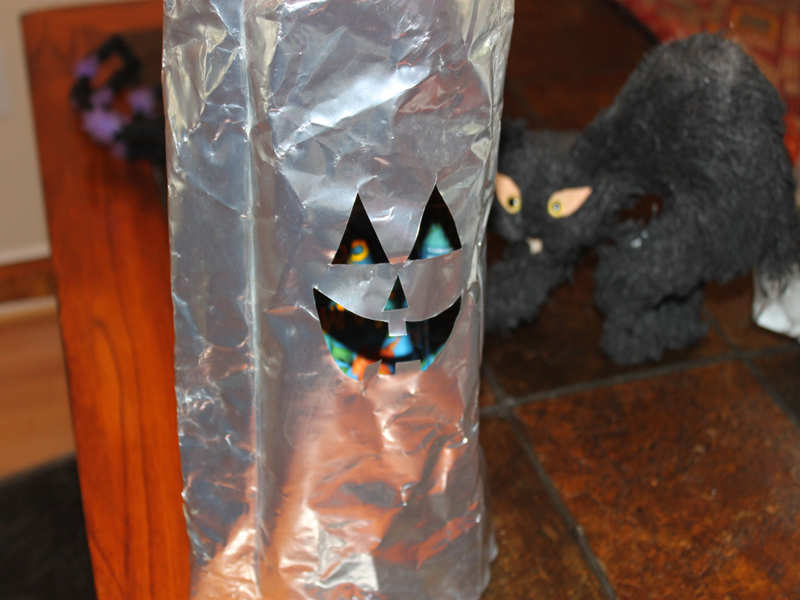 Read on to learn how to make these spooky lights using an empty coffee bag. 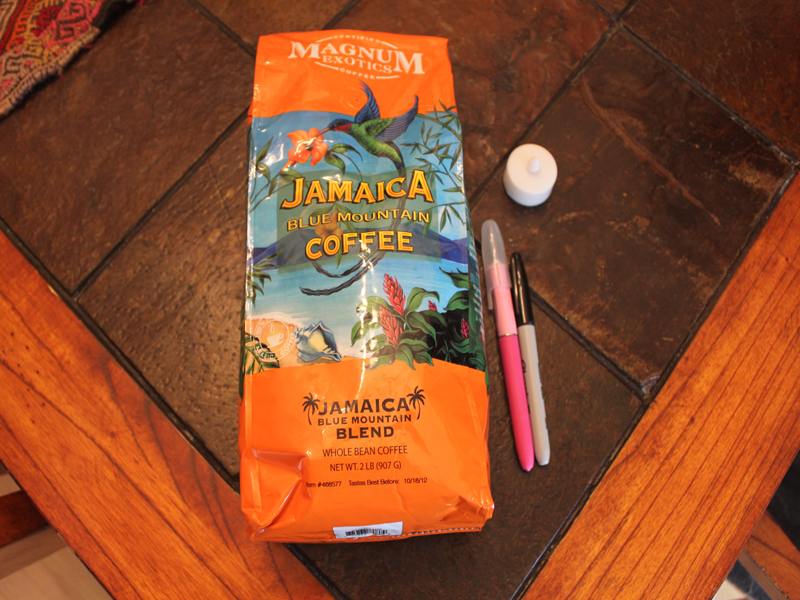 <h2>Step 1: Prepare Your Supplies</h2> Wash and dry the inside and outside of an empty coffee bag. 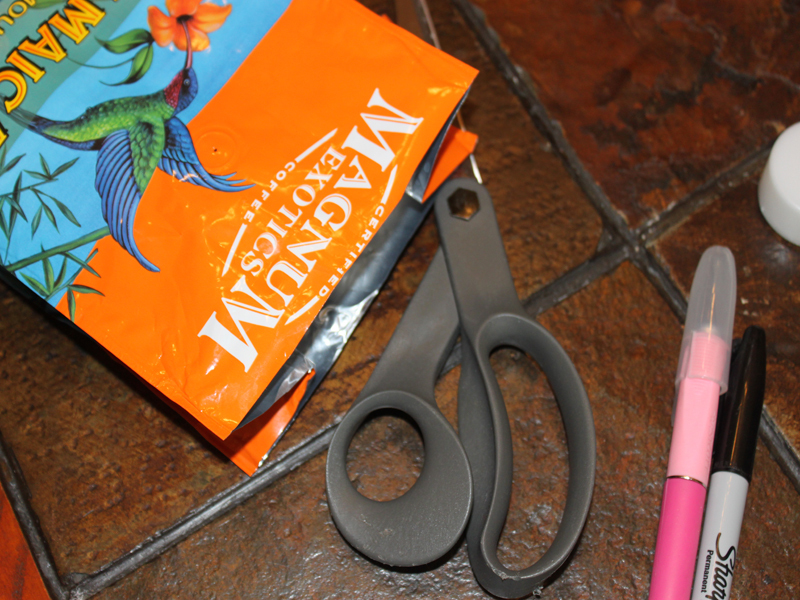 Using scissors snip off the top and bottom of the coffee bag, so it will stand upright on it's own. 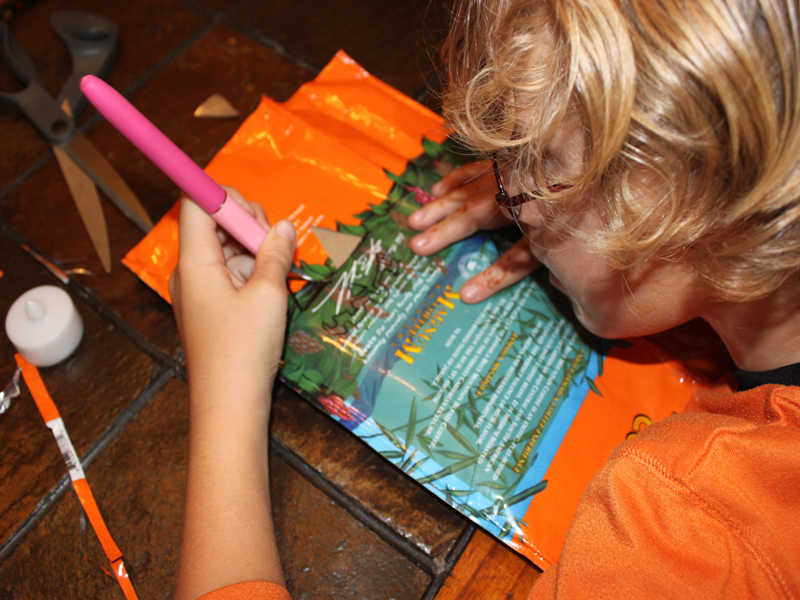 <h2>Step 2: Design the Jack o' Lantern</h2> Give your child a marker and have them draw a pumpkin face on the outside of the coffee bag. 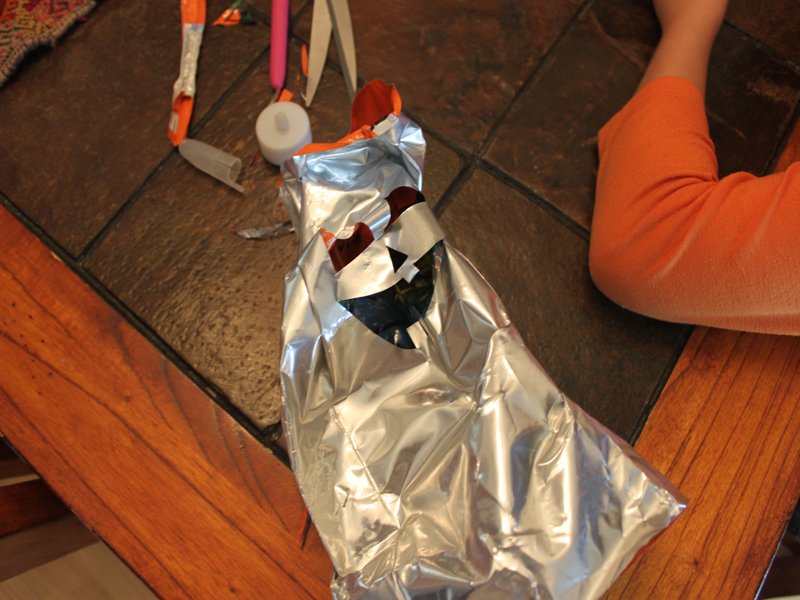 <h2>Step 3: Cut out the Face</h2> Using your cutting tool, carefully cut the Jack o' Lantern face from the bag. (Older children can help in this step with assistance) We placed a small notebook in between the layers of the bag while cutting so the face would only be on one side. 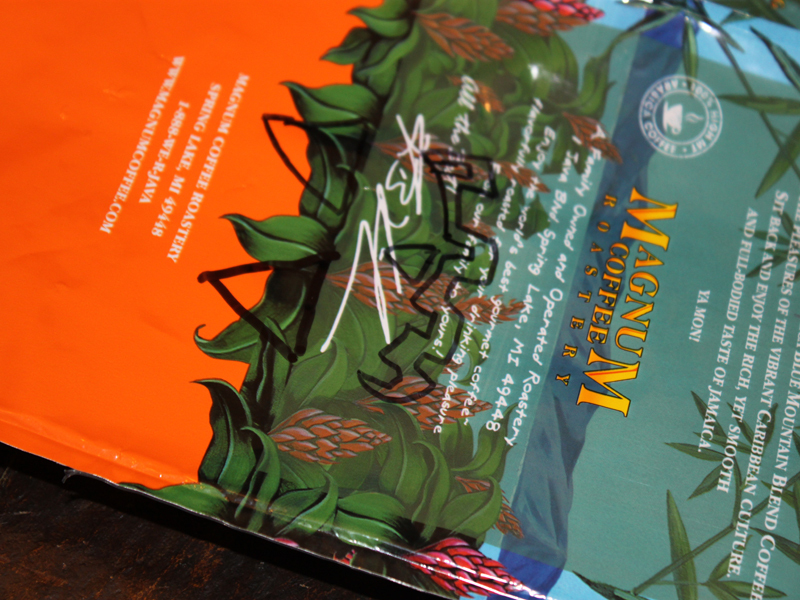 <h2>Step 4: Turn it Inside Out</h2> Carefully turn the coffee bag inside-out to the silver side. This way your Jack o' Lantern still looks nice during the day. <h2>Step 5: Add Light</h2> Put a battery operated tea light (for fire safety) inside the Jack o' Lantern and turn out the lights. Watch your children delight in seeing the Halloween Jack o' Lantern they created. They'll look great lined up on your front porch or staircase. The bags store flat and take up next to zero room in your Halloween storage box, so you can save them to use again next year.